Nothing soothes the soul like chicken soup, no matter what country or culture you identify with. 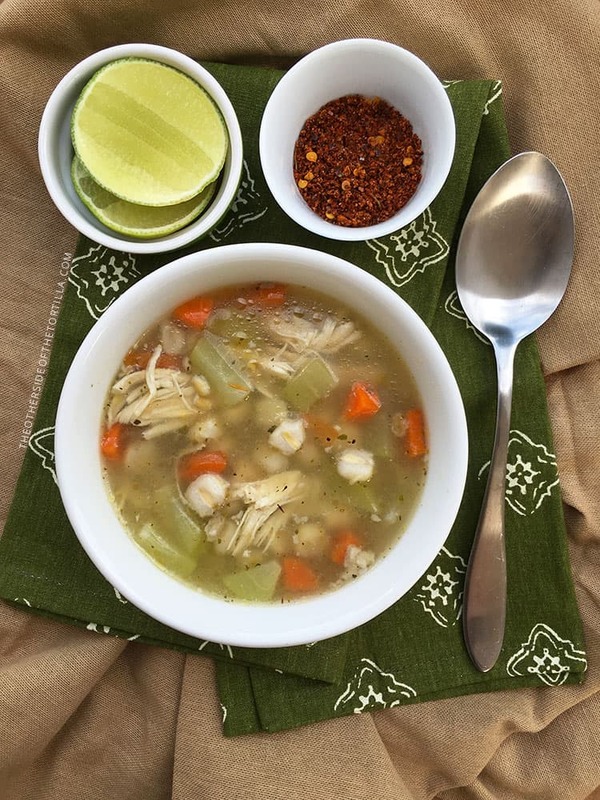 My version of Mexican chicken soup includes hominy and barley for a unique spin on this typical dish. This post is sponsored by Teasdale Foods. All opinions and the recipe here are my own. My suegro loves the sopa de pollo from this place in Mexico City called el Ricón de la Lechuza, which has been around since 1971. What makes La Lechuza’s chicken soup different than most others is that in addition to the traditional homemade broth, carrots and celery, barley (called “cebada” in Spanish) lends a unique texture and adds to the nutritional profile of the dish.